On Saturday, Dec. 9, Chef and Restaurateur Mario Batali will host “A Decade of Deliciousness: Mario and Friends Celebrate Carnevino,” the unforgettable dining event to commemorate the 10th anniversary of Carnevino Italian Steakhouse at The Palazzo Las Vegas. Beginning with cocktails served at 7 p.m. in the Taverna, this elaborate, 5-course meal will feature dishes prepared by Batali and his closest friends. 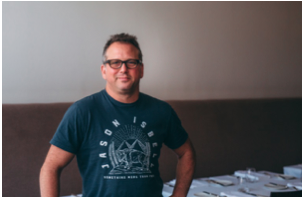 Paul Kahan: Chicago’s beloved native son, in 2014, Kahan won several James Beard Foundation awards including “Who’s Who of Food & Beverage in America” in 2014, “Outstanding Chef” in 2013 and “Best Chefs in America” 2004. 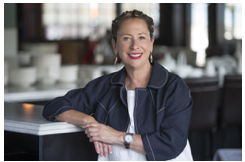 Nancy Silverton: The recipient of numerous James Beard Foundation awards, she is the only chef to be named both “Outstanding Chef” and “Outstanding Pastry Chef.” In 2014, she was listed as one of the “Most Innovative Women in Food and Drink” by Fortune and Food & Wine magazines. She is credited for popularizing sourdough and artisan breads in the United States. She is currently based in Los Angeles. Each chef will incorporate seasonal ingredients, such as white truffles flown in from Alba, Italy, into their respective dishes. Extraordinary Italian wine selections, such as Barolo and Brunello, will complement the meal. The full menu will be announced later this month. This culinary experience is $380 per person, inclusive of wine pairings, taxes and gratuity. 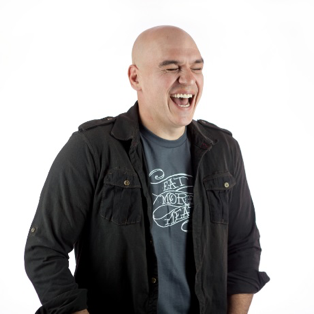 Seating is extremely limited; guests are encouraged to reserve their spaces early. The best way to experience Carnevino’s 10th anniversary celebration with Mario Batali will be to stay overnight. Suite packages at The Venetian or The Palazzo start at $509 per night (based on a 2-night stay) and include two tickets to the Dec. 9 dinner. For more information, please visit www.venetian.com/carnevino10thanniversary. Carnevino has served more than 400,000 steaks to guests since opening. More than one million guests have dined in Carnevino’s four dining rooms. Guests have ordered more than 100,000 ribeyes. If placed end to end, this would result in approximately 17,000 feet of ribeyes, which is nearly the height of Mt. Kilimanjaro (19,031 feet). At Carnevino’s off-site dry aging facility, more than 300 tons of ribeyes have been dry-aged. Carnevino Italian Steakhouse at The Palazzo (“carne” indicating the highest quality steaks and “vino” for extraordinary wines) is Mario Batali and Joe Bastianich’s interpretation and celebration of the classic steakhouse presented in their signature Italian style. The finest beef, superior ingredients and world-renowned wine list make award-winning Carnevino the premiere destination for steak lovers. All steaks are dry-aged in Las Vegas then rubbed with sea salt, black pepper and fresh rosemary to achieve otherworldly tenderness and flavor. Furthermore, porterhouses and ribeyes are aged a minimum of 90 to 120 days, well beyond industry standards. Carnevino also offers organic veal, Colorado lamb, Heritage Foods pork, handmade pastas, classic antipasti and side dishes inspired by the street food of Naples. For more information, like on Facebook or follow on Twitter and Instagram (@Carnevino). Click here to download high-res photos. Located in the heart of the Las Vegas Strip, The Venetian Las Vegas features all-suite accommodations, exquisite restaurants and world-class entertainment and shopping. The luxury resort offers elegant suites, including standard suites that are nearly double the size of the average Las Vegas hotel room. The Venetian is home to restaurants from celebrated chefs including Wolfgang Puck, Mario Batali, Thomas Keller, Emeril Lagasse, Lorena Garcia and Buddy “Cake Boss” Valastro. The resort also features Canyon Ranch SpaClub; a five-acre pool and garden deck; TAO nightclub; the Grand Canal Shoppes retail and dining mecca; a 120,000-square-foot casino and poker room. Conveniently connected to The Venetian, The Palazzo Las Vegas offers an alluring and elegant resort experience for those seeking a luxurious escape in the heart of the Las Vegas Strip. Guests enjoy chic all-suite accommodations, world-class shopping, including a flagship Barneys New York, and lavish dining experiences from renowned chefs Mario Batali, Emeril Lagasse and Wolfgang Puck. Soaring lobbies and atriums open to exclusive resort amenities, including The Aquatic Club, Grand Canal Shoppes and Canyon Ranch SpaClub. The resort features more than 2.25 million square feet of meeting and convention space, including the Venetian and Palazzo Congress Center and the famed Sands Expo Convention Center. For more information, visit venetian.com or palazzo.com. The Palazzo Las Vegas and The Venetian Las Vegas are properties of global integrated resorts developer Las Vegas Sands Corp. (NYSE: LVS).